I think that anyone who knows their way around a toolbox can agree that a cordless drill must have enough power, a quality battery, and is easy to hold and use. That was our top criteria for selecting the best cordless drill. If you want to cut to the chase, the Porter Cable cordless drill is a combination of all these features, and was selected the “Best Overall” pick from our editorial team. When you’re trying to find the right cordless drill, it’s easy to get overwhelmed with all the choices and for some, especially inexperienced users, trying to figure out all the features and decide which ones you want or need, it can be downright frustrating. Everything you need to know about finding the right cordless drill is right here so you don’t have to look on multiple sites to gain an understanding of what to look for. After talking to expert users, and doing a lot of internet research, we’ve compiled this informative review for you. In this review, we’ll cover the top three cordless drills that are in the top three on many review sites and explain why they are so popular. You’ll learn the features of each one and what they are best suited for. Spend your time wiseley and don’t waste it going from site to site trying to see which drill is the best. Everything you need to know is right here, all in one place. The objective we have when writing our reviews is to educate you on what makes a great cordless drill so even if you’re inexperienced in using them, you can have confidence in the knowledge we’ve provided you and use that to make the best choice for your drilling needs. All drills are not created equal and we’ll explain the differences in an easy to understand way that will make your choice much easier. 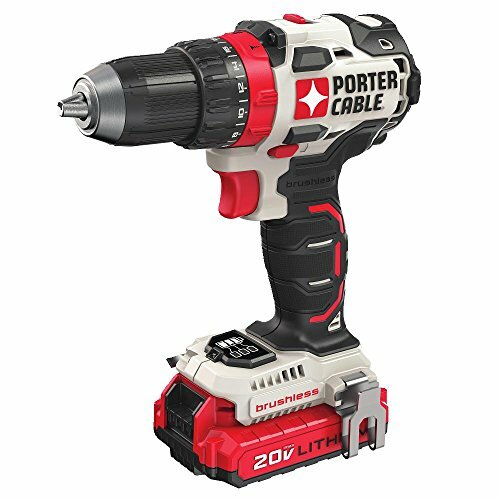 The Porter Cable is a powerful cordless drill that delivers 370 MWO while only weighing in at 3.3 lbs. It peaks at 1,800 revolutions per minute and has 50% more battery life than the generation before. We liked that it’s compact and it can fit in tight spaces while working. We like the versatility of this drill and its abilities to perform a wide range of drilling functions. It also has hammer drilling capabilities for those hard applications. The drill is ergonomically designed and is a little over 7 inches in length. Power users and home users will find this a great addition to their tool arsenal. Its versatility over corded drills is also a user favorite. Not only is the DEWALT DC970K-2 found in the top three on a lot of review sites, it’s also a number one best-seller on Amazon too with over 1,500 customer reviews. This 18-volt drill packs a lot of punch for its size. The powerful motor is protected inside a compact design that gives the user a lot of comforts while using it, especially when using it for extended periods of time in small spaces. The DeWalt DC970K-2 is perfect for drilling and fastening metal, wood, and plastic and is the right tool for framing, installing cabinets and HVAC work too. Despite its smaller size it makes a great tool for a professional contractor or as an addition to a do-it-yourselfer’s tool collection. 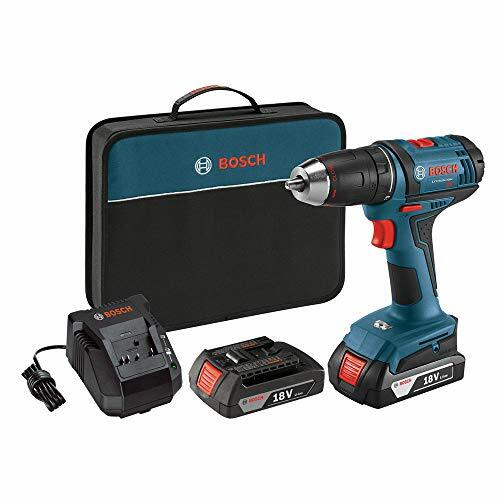 Even though it may cost more than the two models mentioned above, it is still an excellent value and the Bosch name is one that’s a favorite with professionals and do-it-yourselfer’s alike. The Bosch DDS181-02 is compact and lightweight with an 18-volt battery that provides plenty of power for heavy jobs and around the house projects. You can use this cordless drill for hours without experiencing the user fatigue common in heavier drills. With a Dura shield housing that guards against it wearing out, you will 35% more runtime and two times the recharge cycle of similar style models. 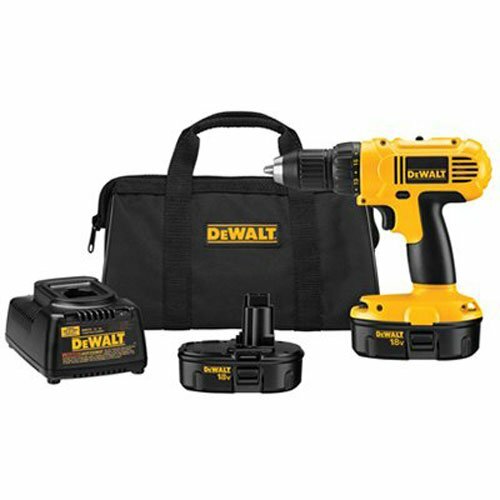 This great drill comes with two Slim Pack 18 volt lithium-ion batteries. You can screw in approximately 160 3” screws per battery charge with this valuable tool. Its unibody construction and steel-reinforced collar withstands extreme temperatures, rain, debris, drops and dirt. Any one of these cordless drills will make a great addition to your tool collection whether you are a professional or just someone who likes to do a lot of household projects. All of these cordless drills are great quality and have many features that make them easy to use and long lasting as well. When you look for the right cordless drill for you, you can be assured that any of these three models will be just right. Most come with excellent money back guarantees and warranties as well so you can try them out and see if you like the one you chose. What is a Cordless Drill? Cordless drills are one of the most versatile tools to have around the home or the woodshop. They can bore holes and drive screws into many different types of material, and because they do not require an A/V connection, they can be used in both indoor and outdoor environments. The versatility that these handy tools have makes them perfect for every tool collection. When looking for the right cordless drills for your needs, you need to think about the types of jobs and projects you do the most and then research various features that each model you are interested in has. You also will have a much easier time choosing if you understand a little bit about the different types of drills available. Cordless drills come in a variety of sizes, styles and power output. You can get them a professional grade or in more of a homeowner grade. These are great tools for speeding up the process of attaching and removing fasteners rather than having to do it by hand with a hand or a wrench. Cordless drills are also great for putting holes in all kinds of materials like plastic, wood, metal and even concrete. Thanks to advanced technology and drill companies working to improve efficiency, Cordless drills run a lot longer before needing to be re-charged. Cordless drills have really progressed over the years to include the use of lithium-ion batteries that last significantly longer than others, LED lights for improved vision and even rapid battery chargers so your downtime is reduced. There are many other features as well that have really improved cordless drills in remarkable ways making them even more valuable for professionals and DIY-ers alike. There are five basic types of cordless drills. Each one is designed to be better for specific uses and jobs. Get to know each type so you can match the cordless drill to the jobs and projects you will be using it for. Cordless Screwdriver – Cordless screwdrivers are a fantastic tool to have on hand for assembling furniture, putting up pictures, removing cabinet doors and other lighter weight jobs. They are usually fairly small and very comfortable to use and even if you have other types of drills, having a dedicated cordless screwdriver can really make some of the simple jobs even faster. Drill Drivers – The most popular drill with homeowners and professionals is the drill driver. You’ll be able to drive any type of fastener through all kinds of materials with this great tool. The tool free chuck allows users to change bits quickly. Normal drill drivers are much larger in size and are not usually good for small spaces due to not being able to maneuver the drill driver around sufficiently. Impact Driver – If you need higher torque than a regular drill driver, you will want to look at Impact drivers. These are great for installing and removing nuts bolts and fasteners. They are much more compact than a drill driver and can be used in tighter spaces much easier. You will need hex shaft bits and accessories for this type of cordless drill. While great for automotive work and rough carpentry as well, impact drivers are not suited for drilling holes. Hammer Drill – The hammer drill produces a forward thrust as well as rotation and allows users to drill through masonry materials along with driving fasteners in as well. This type of cordless drill weighs more than other varieties and it requires more battery power to run than the traditional styles but the strength is fantastic for professionals who might work with concrete, wood, and metal on a regular basis. Rotary Hammer Drills – Need more power? Rotary Hammer Drills are made to chisel through masonry with little problem. They are more effective than hammer drill/driver combinations at removing material. Cordless rotary hammers are very portable but they can weight over 10 pounds which make them difficult to use for extended periods of time without getting fatigued. For the professional who drills and chisels through masonry on a regular basis, a rotary hammer drill is a perfect tool to add to the collection. Different drills are going to be better for specific jobs than others. If you know which ones are suited for certain jobs before you start searching for the drill you want, you won’t end up with something that isn’t powerful enough or that is TOO much power. Cordless screwdrivers – The cordless screwdriver is great for assembling things and basic household projects. Not recommended for drilling holes or installing lag screws. Cordless impact drivers – These are the drills that can handle the heavy-duty jobs and are great for professionals. Many professional contractors or remodelers buy several cordless drills to handle the different types of drilling jobs and projects that may be done. It is not uncommon for them to purchase a cordless screwdriver, impact driver and drill driver for example. What matters is that you choose models that will help you do the jobs at hand with much less difficulty and with greater speed. They do have combination styles that can do several types of job well, but overall, getting 2 or 3 different ones will cover all the bases and have you prepared for anything. Voltage – Volts are how the power of a particular drill is measured. Cordless drills can range anywhere from 2 to 24 volts. The higher the voltage the more powerful the drill is. When a cordless drill has a lot of power, it can overcome the more difficult jobs where there may be some resistance. The downside of these more powerful drills is that they usually weigh a lot more than the less powered variety. If you’re using your cordless drill for jobs around the house or for light remodeling projects, a 14-volt drill will do the job quite nicely. On the other hand, if you need a lot of torque and you’ll be working with masonry or other tough material, you’ll need to get a drill that has more power. Chuck Size – The term chuck is what the clamp that holds the rotating bit in place is called. It’s an important feature to look at when shopping for a cordless drill because the chuck size determines the size of the bit that the drill can use. ½” and 3/8” are the two most common chuck sizes. If you’re going to be doing a lot of heavy duty work you will find that a ½” chuck will be much better and will handle the load a lot easier. Also, bigger drills are ½” chuck sized so a 3/8” size won’t fit. Drill Speed- rpms or rotations per minute, is how the speed of a drill is measured. Single speed drills are usually the less expensive of the drills available and typically run at about 300 rpm. These single speed models are great for screwing in screws and mails around the house. The more expensive varieties of cordless drills can operate at speeds of up to 1200 to 1500 rpm and can handle drilling holes into very dense material such as masonry and hardwood as well as metal. Take note though that when drilling into metal, it is better to use a lower speed such as 700 rpm, due to the fact that at higher RPMs you will burn up your bit. Metal needs to be drilled much slower than other materials so it doesn’t overheat. The higher rpm models are more expensive but the power and capability more than makeup for the higher cost. There are also variable speed drills that have a trigger that the user can control the speed of the bit with. Battery Type – No matter how good, expensive or fancy a cordless drill is, if it has an inferior battery. The better a battery is the better performance your drill will have and the longer it will last between charges. Battery longevity is going to be affected by a number of factors. Is the drill in continuous use or intermittent use? The more expensive types of cordless drills have battery power indicators that tell you how much battery life is left. The benefit to this meter is not having the battery completely drain in the middle of a project. It affords users the ability to plan for longer projects and make the necessary arrangements to either have a full charge before the project is started or have a backup battery ready to go when the first one is drained. There are several types of batteries on the market, the most popular being Nickel cadmium and Lithium-ion. Of the two, Nickel cadmium is the less expensive and is durable and lasts a long time. They have a recharge ability of about 1000 times which makes them really popular with users. Lithium-ion batteries are more expensive but they have twice the energy density and are much lighter than nickel cadmium batteries. They don’t last as long but they don’t have the toxic chemicals that Nickel cadmium batteries have. The most common practice is for users to buy a second battery pack that goes with their cordless drill so they don’t have any downtime while waiting for the battery to be recharged. Clutch – This is the feature on a cordless drill that disengages the drive shaft of the drill whenever the drill meets considerable resistance. You’ll be able to tell the clutch engaging because of the telltale clicking sound the drill will have during use. The clutch prevents screws from stripping and also keeps the motor from being overworked and burnt up. Different cordless drills have different clutch setting options. There are models that can offer as much as 24 different settings. The variable clutch settings are most often used by experienced carpenters that will tailor the drill to the particular material they are working with. For basic household tasks, a cordless drill with a variable clutch setting is not needed. These are just a few of the extras that cordless drills can have. When you’re looking at the different models of cordless drills, take into consideration the jobs you want it for and that will help you decide just what features you NEED, what features you’d like to have, and what you don’t really care about or need. Some features will cause the price to be higher, but in these cases, the features are needed, so a higher cost is expected. Grip – This is an important part of any cordless drill that you would consider purchasing. Purchasing a cordless drill with a comfortable grip is important, especially when you’re working with them for hours at a time. Because of new advanced designs, drill brands are creating ergonomic grips for a better user experience. Many have rubberized grips for even more comfort. If you already know that you suffer from wrist, elbow and shoulder issues, look for a lighter, compact model. Forward/Reverse switch – When a cordless drill has a forward/reverse switch you can change direction with literally the flip of a switch or press of a button. This can come in handy when screwing and unscrew fasteners, etc. NiMH – Stands for Nickel Metal Hydride battery. These batteries have a much higher capacity than Ni-Cad batteries. They are less toxic than Ni-Cads but still shouldn’t be tossed in the garbage when dead because of the toxicity they still contain. They are more sensitive to temperatures than Ni-Cads also and can degrade when exposed to extreme heat or cold. Li-Ion – Stands for Lithium-ion battery. These have no memory effect so there is no need for repeated conditioning. More expensive than other batteries but lasts longer. Torque – This is the force that the drill uses to rotate the screw. Variable Speed Trigger – The speed of the rotation of the drill is governed by how tightly the trigger is squeezed. The tighter the trigger is squeezed, the faster the drill bit rotates. LED Light – Some cordless drills are equipped with built in LED lights that are great for working in darker areas. The increased visibility makes seeing what you’re doing much easier. High end drills and impact drivers are being designed with brushless motors more often now. Inside a regular electric motor, brushes are present and can wear down over time and need replacing. If a cordless drill has a brushless motor, it will inevitably be more expensive, but there are many benefits to having a brushless motor. Even if you plan on buying a cordless drill online, it is a good idea to spend some time in the home improvement store handling the drills that you are interested in. They usually have models out where you can pick them up and handle them a bit. The importance of this is so you can see how the drill feels in your hand. Since drills are so different, they will feel differently when you handle them. Many people like a heavier weight drill because it FEELS tough and durable in their hands. Keep in mind though, that you are going to be using this drill for all kinds of jobs and the heavier it is the more hand and wrist fatigue you will experience. You can also test out different grips to see which one you prefer. Hold the drill in the horizontal and vertical positions to see how it feels. See how the grips feel in your hand. Is it comfortable? Does it feel too big or too small? Is it too heavy for long term jobs? While you can’t actually drill something in a home improvement store, handling the drill will give you a much better idea of what it will be like to use. Below is some information on the type of drill you should look for when doing specific jobs. Each drill will offer different features and have different strengths and weaknesses. Knowing what to look for can narrow your choices to be much more manageable. Light maintenance and repair – This will include such jobs as installing drape brackets, drilling holes for drywall anchors, assembling furniture, grills, exercise equipment, etc, installing new cabinet and drawer handles and knobs, removing or replacing door hinges. All of these types of tasks are relatively quick so you don’t need a cordless drill with two batteries. To cover drilling holes and driving screws, make sure your drill has two fixed speeds and a variable speed option and look for an adjustable clutch as well. A drill that is in the 6 to 7.2-volt range will be great for these types of jobs. Repair and Remodeling – These jobs are a bit more involved and will include building storage racks or storage closet shelving, replacing deck railings and fence pickets, drilling pilot holes, driving screws into plywood or hardwood, hanging drywall and making furniture. The drill you want will have a variable speed, two-speed ranges, a clutch, and T-handle as well. Get another battery as well so you don’t have to start in the middle of a project. The best drill for these tops of jobs will be at least a 9.6 volt. A 12 volt will be even better but it will be a bit heavier. Heavy Duty Construction Work – This type of work requires a strong drill. Jobs that you would be doing could include drilling holes for bolts and spikes in pressure treated wood, drilling spikes into landscape timbers, masonry walls, installing decking, driving into steel. You will need a MINIMUM 12-volt cordless drill for these types of jobs. They are heavier and more expensive but due to the heavy load, you will need that heavier weight and stronger drill so you don’t burn them up. Once you know the type of projects and jobs you’ll be using your cordless drill for, choosing the right one becomes much easier. With all of the above information, you will be able to read the specs on any drill and have a better idea of what all that means and what your drill will be able to do. Don’t forget to check for money back guarantees and warranties as well and you will be able to feel assured that the drill you choose is one you will be happy with and use a lot.